This updated guidance does not significantly alter the FTC’s previously established procedures. However, it offers insight into the areas of the merger investigation process that the Commission finds most significant and highlights several strategies for parties to minimize the time and burden of a merger review. First, FTC strongly recommends that parties provide information to the Commission early and voluntarily. The guidance emphasizes that parties can produce information during the initial HSR waiting period, or even before the filing, which may eliminate the need for a Second Request or allow the Commission to tailor the Second Request. The guidance notes that FTC staff almost always request certain “key information” and recommends that parties gather and submit this information voluntarily to expedite the merger review process. This key information includes (1) strategic and marketing plans for the previous two years, (2) lists of all currently manufactured, marketed, or sold products and products in development, (3) a list of top 10 customers, with contact information for customers of overlapping products, (4) a list of top competitors, with contact information for competitors who provide overlapping products, (5) market share information for overlapping products, and (6) a list of reports that the company prepares on a regular basis. FTC also suggests that parties should consider submitting an organization chart and data map during the initial waiting period. The guidance reiterates the point, previously suggested, that parties should obtain feedback from Commission staff about the remaining open issues before deciding to withdraw and refile. FTC emphasizes that, where an investigation merits substantial review, withdrawing and refiling will not be effective in avoiding a Second Request. As a matter of historical fact, though, FTC acknowledges, the withdraw and refile strategy has reduced the likelihood that a Second Request will issue at that point, and may result in a narrowed and more-tailored Second Request if the agency ultimately issues one. Additionally, the new guidance offers insight into the FTC’s views on the most effective way to negotiate a Second Request. FTC will engage in good faith negotiations regarding a Second Request “to prevent confusion or misunderstandings regarding the nature and scope of the information and material being sought.” 16 C.F.R. § 2.4. The guidance indicates, as well, that the Commission considers Second Request negotiations an important measure for reducing the burden on both sides of the merger investigation, while still allowing FTC to effectively evaluate the proposed transaction. FTC recommends that, to ensure productive discussions during these negotiations, the parties should involve employees who are familiar with the company’s operations, data, storage, and document retention. The parties also should be prepared to explain the organizational and decision-making structure of the businesses early in the negotiation process. Additionally, the Commission emphasizes that a critical query during these discussions is the location of pertinent information, and the parties must be able to explain the structure and content of central files, corporate files, and databases. The new guidance modifies the Commission’s prior procedures in a few significant respects, with an eye toward streamlining the investigation process. To speed up the process of modifying the specifications in the Second Request, parties now may e-mail draft modification language for the staff to review. Additionally, while final modifications always require a formal letter from the staff, modification letters no longer require the signature of division management. The guidance also modifies the Commission’s approach to the “quick look” review, authorized by the 2006 Merger Process Reforms. Under a quick look review, if the theory of anticompetitive impact rests on a specific issue or when the Second Request involves multiple relevant product markets, the parties may produce only selected critical documents and information, which the Commission may analyze in a short period. Under the 2006 reforms, quick look review required formalized, written agreements between the Commission and the parties. 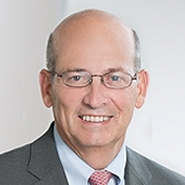 However, recognizing that formal quick look agreements are rare—and protracted negotiations of such agreements may distract from the substantive merger investigation—the new guidance provides that FTC and the parties can work cooperatively to identify key custodians and prioritize the search and production of responsive materials in order to expedite the review.